If you've tried using Sprytile with the latest version of Blender (2.79) you may have noticed that the Workflow panel is not displaying. This minor release should fix this bug. Thanks to MasterBeany for reporting the bug! 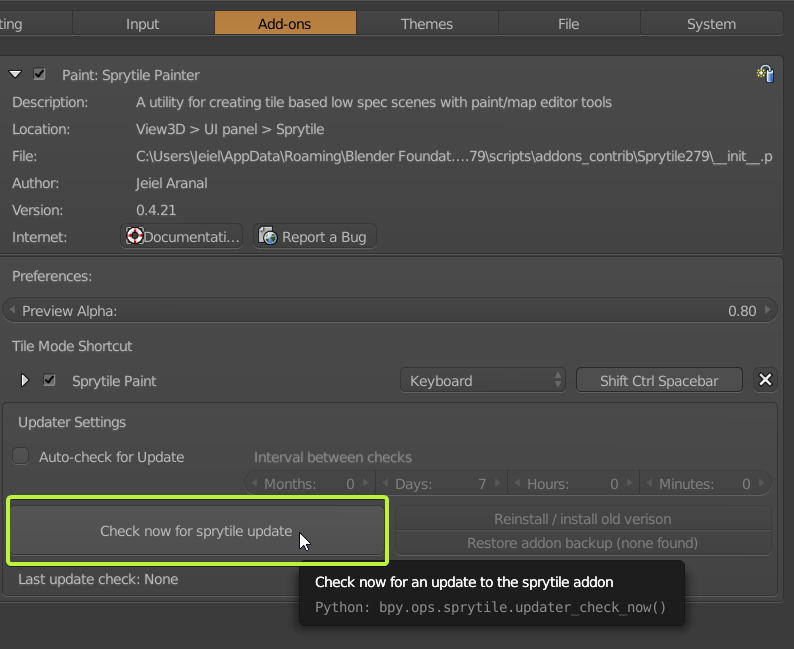 Sprytile is an opensource project and any contributions are appreciated, whether in code, bug reports, or documentation. I'd like to thank cg-cnu for a pull request that made the project presentation on GitHub look a lot better! You can upgrade your Sprytile version from the Addon tabs of your Blender user preferences, or if you have auto update on it should download soon.